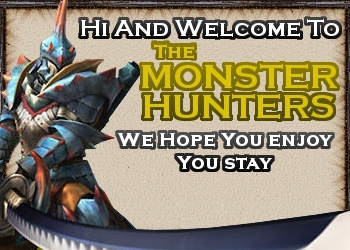 Hey everyone, it's been a while since I've played Monster Hunter and all. I got really caught up in school and then online games. Glad to be back though. I've even decided to start up my own youtube channel based on monster hunter as well. If you guys want to play on xLink Kai I'm usually on from 4-7 PM Central timezone and my User on there is BurstingSoul. Anyways, it's nice to be back haha. Welcome back Always glad to see fellow hunters and members coming back.